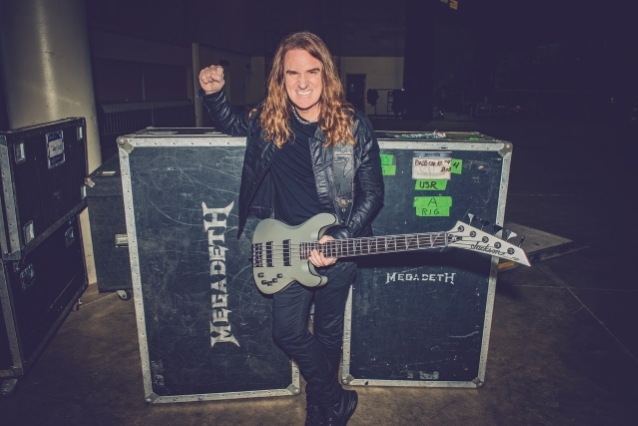 Megadeth bassist David Ellefson will be honored in his hometown of Jackson, MN, with a declaration of a ceremonial annual holiday in his honour. Currently the middle of his "Basstory" world tour, Ellefson will also perform a special variation of his touring performance to the student body and gathered local attendees and media. Ellefson left Jackson in the early 80s to move to Los Angeles, where he met former Metallica guitarist Dave Mustaine and the pair co-founded Megadeth. Next month, Ellefson will publish "More Life With Deth" as the follow-up to his 2013 memoir "My Life With Deth."